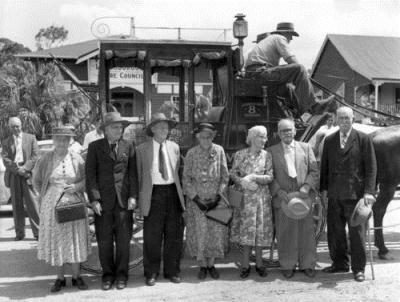 Cobb and Co was the name of a company that ran stage coaches in the 19th century to the outback of Australia. As kids mum & dad would take us 'fossicking' around the old coach stops and homesteads all over the bush. We used to collect all sorts of stuff and I enjoyed digging around and finding things from a by-gone era. Unfortunately when we left the bush we just couldn't take everything with us so we had to leave behind a lot of our collected memorabilia. But the memories of those times spent searching and discovering with my parents have stayed with me and I remember them today with much pleasure. There have been a number of poems written about the iconic coaches over the years probably because they were such an important part of life in outback Australia before the automobile came along; we hope you enjoy mums wonderful poem. On a plain, in a gully, round the edge of a hill. Here and there an old post with a story to tell. Is a drunken old wagon that once was so real. The stories and legends that made Cobb and Co. So to reach the next station he gives a last burst. He'll leave in the morning when the sun's high and bright. With the stories and legends that made Cobb and Co.